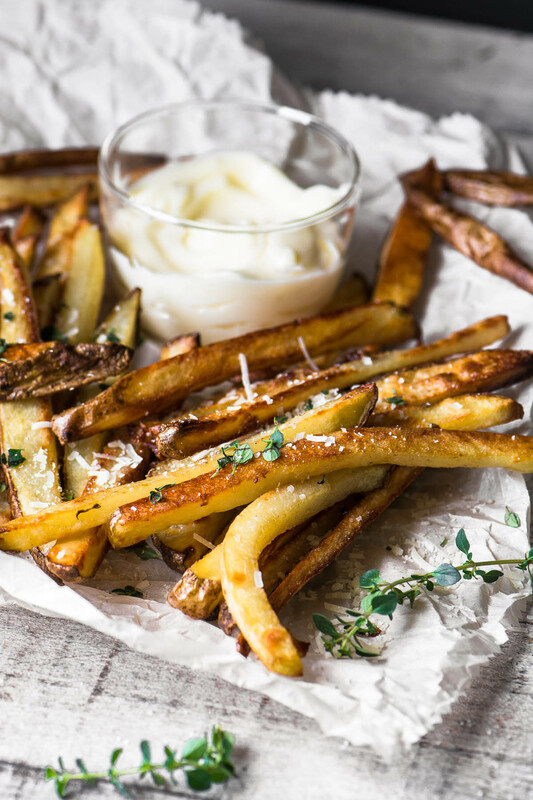 Baked Truffle Fries are a healthier, lower fat version of my current restaurant appetizer obsession ~ truffle oil and truffle salt give it an over the top decadent truffle flavor. When I arrive at a restaurant ravenous, which is just about always, and I see truffle fries on the menu, I bust out a little happy dance. I’m a cheap date, what can I tell you. But don’t you love them? That truffle flavor is everything, and I’ve recreated them here, in an even better form. Since I toss them in oil and bake them, they’re lighter and better for you. Now you can scoop up more of that truffle mayo and not feel guilty. You’re welcome. Baking French fries is a technique that I mastered long ago, it works so well, and it’s so easy, that there’s no reason to ever do it otherwise. Just slice up your potatoes into matchsticks or wedges, and toss with oil and salt. In this case it’s a combination of truffle oil and olive oil, plus truffle salt. Bake until crisp and golden. Yum. Preheat! Preheat your oven to 400F and don’t put your potatoes in until it reaches temperature. Choose russet potatoes, they’re high in starch which makes for the best fry texture. Cut your potatoes thinner (1/4 inch) for extra crispy fries, or in wedges if you like them crisp outside and soft and fluffy inside. Toss with enough oil to really coat all surfaces of all your fries. Toss with clean hands to insure the oil coats everything. Let the fries cook undisturbed for at least 15 minutes before attempting to toss or flip them. If you try to turn them too early they will be soft and can break. Use a silicone mat if you want to prevent sticking. I usually just use a plain baking sheet, but the mat works well too. Lay out your fries in single file only, no overlapping or they won’t crisp up. Bake long enough so that your fries are a deep golden, and crispy on the edges. 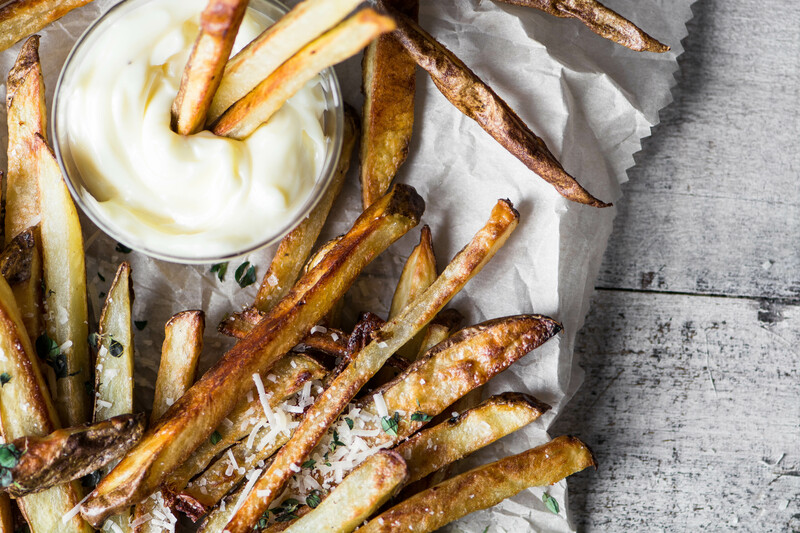 You almost can’t over bake fries, especially if you like them crisp. Large wedges will take longer. Enjoy while they’re hot, but if you need to reheat, DON’T use the microwave, they’ll get soggy, heat in a 300F oven instead. Lastly, don’t skip the dip, it’s where most of the truffle flavor is going to come from. 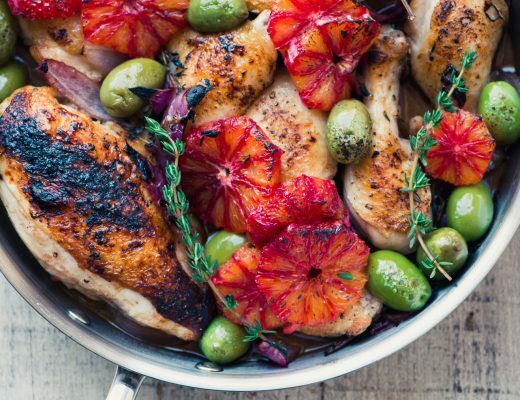 File this under healthier cooking ~ maybe not technically good for you, but way better for you than the original fried comfort food. You absolutely have to have a dip for your truffle fries, it’s non-negotiable. And the dip of choice is a creamy truffle mayo. You could make this from scratch using my easy 30 Second Mayo technique, but today I’m taking the easy road and starting with jarred mayonnaise. This whole recipe relies on two simple ingredients, truffle salt, and truffle oil. Truffle oil come in very small bottles and is sometimes available at supermarkets but more likely specialty stores, or online. Some of the oil is made with oil and truffles, but more often the oil is flavored with artificial (but tasty) truffle flavoring. What’s the real scoop on truffle oil? Truffle oil has a mixed reputation among chefs and foodies and here’s why: most of the truffle oil you will ever see is not made with truffles, it’s made with artificial truffle flavor. It’s an artificial synthesis of the flavor and aroma of truffles. Authentic truffle oil is made with oil and small bits of truffle. Try to locate an authentic truffle oil, but if you can’t, try a flavored oil. They’re not as good, but they do have a nice earthy flavor. I’ve made these fries with both types of oil and I’ve enjoyed both versions. When you’re next in Italy, or at a 5 Star restaurant that serves truffles, be sure to sure to indulge in the real thing, but until then, let’s eat fries! How do you know if your truffle oil is authentic? Be aware that it’s a little bit of a no man’s land when it comes to truffle oil labeling, so buyer beware. Read the label, it should only include oil and actual truffles. It should not include any chemicals, aromas, or truffle ‘flavoring’. Real truffle oil usually contains small bits of truffle that settle at the bottom, but even that isn’t a guarantee. The real deal is relatively pricey and there are fakes out there, if yours seems too cheap to be true, it probably is. Because of the negative publicity more companies are coming out with real truffle oil, so keep your eyes peeled. Remember that even if you don’t have access to authentic truffle oil, I think the more common artificially flavored one can be fine for a casual dish like these truffle fries. It’s what they most certainly use at your favorite restaurant, after all. I used this oil made by Urbani, and was happy with it. Is it authentic? I can’t actually tell, the label says it’s made with truffles, but the ingredient list doesn’t mention them. Slice the potatoes into 1/4 inch matchsticks, or thin wedges and put them in a large bowl. Toss with the oils and salt, using your fingers to make sure all surfaces of the potatoes are lightly coated with oil. Spread the potatoes out in a single layer on a baking sheet. You can use a silicone mat if you like, I usually don't. 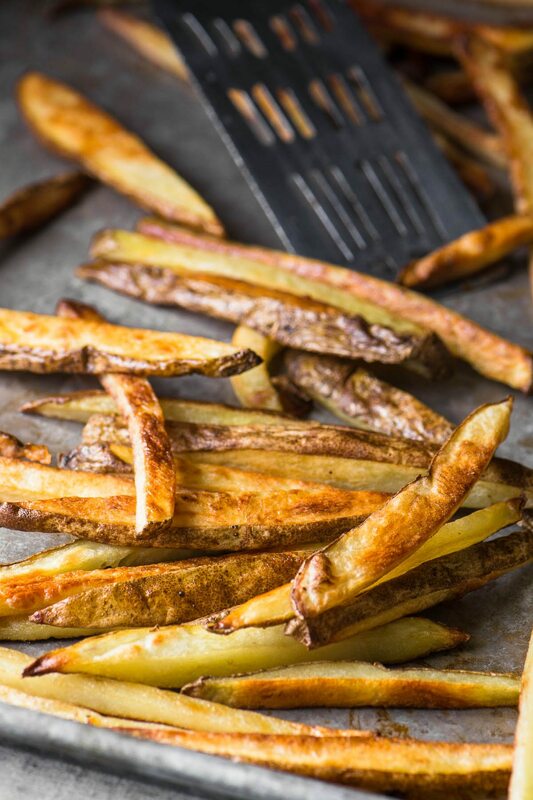 Cook the fries in the preheated oven for 20-30 minutes, or until crisp and golden. Turn the fries after 15 minutes of cooking. The total cooking time will depend on the size of your fries. Meanwhile mix together the truffle mayo ingredients and taste to adjust any of the components. Serve the fries piping hot garnished with the cheese, salt and pepper, and herbs. 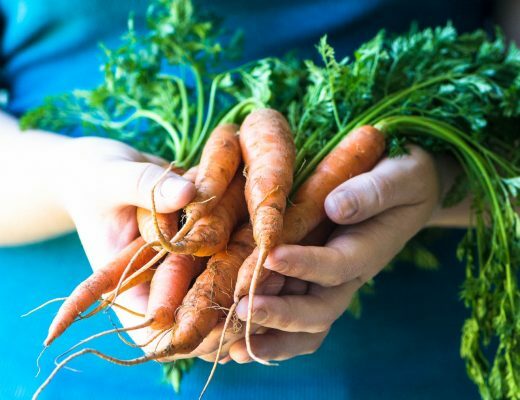 20 Yummy Carrot Recipes to Nibble on This Month! Be still my heart, these fries look simply irresistible! You know my husband would be a very happy guy if I would make these for him – thanks for another creative and delicious recipe Sue! Yum! You are forever coming up with something wonderful and these fries are just one more example. I love that I can now have this treat at home! Love that these are baked Sue! 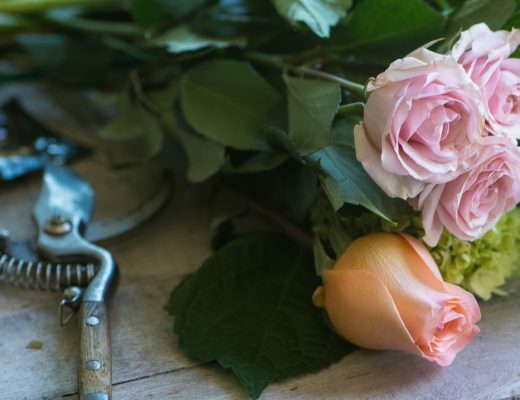 Great list of tips! Thanks for sharing. That’s a fantastic combo! 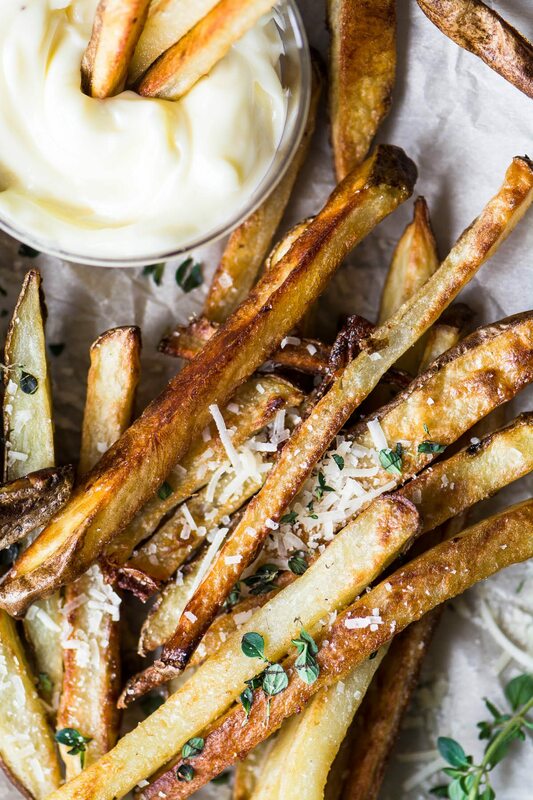 I seriously would have never thought of truffle oil to make oven fries. An awesome idea, Sue. That truffle mayo is the main event…I think I may try using it as a dressing for chicken salad, what do you think? This is a very good combination Sue and will try to find the truffle oil. What i do here to spice up the fries is sprinkle with rubbed oregano and a bit of crumbled feta cheese when just out of the oven and still very hot. But I like best your idea and infuse oregano in olive oil and use that instead. Great recipe Sue! Thank you!